This stunning 18kt gold and diamond jewelry collection represents Roberto Coin's mixture of texture and depth to create a completely unique feel. Especially beautiful when the Primavera bracelets and other pieces are worn in mixed gold colors, for example rose, yellow and white gold bracelets worn together give these classic pieces a new, fresh look. 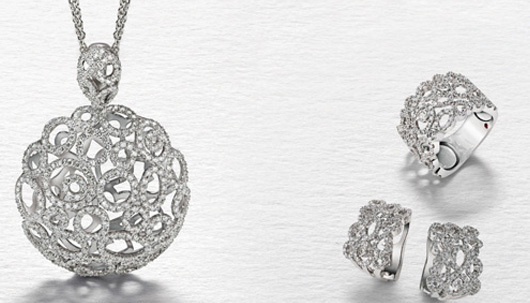 Set with diamonds, these pieces are another example of Roberto Coin's creativity and eye for beauty.